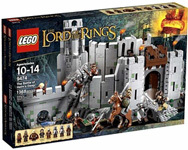 LEGO products are developed in such a way that there is something for all ages and stages of development. From kindergarten toddlers, schoolchildren and teenagers to young-at-heart adults. There?s something for everyone - whether you prefer making things up as you go or building predesigned models. Several THEMED Lego were produce including: Bionicles, Toy Story, Star Wars, and More.